It's official. I've fallen back in love with reading. A total head-over-heels, can't put things down kind of love. And it's the best. 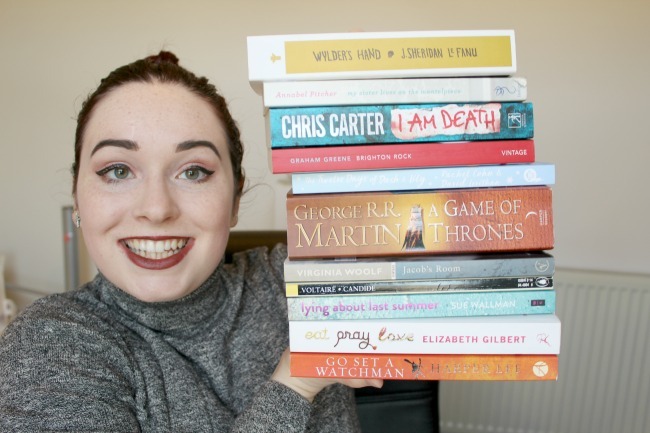 In November I posted my first ever book haul on Nourish ME, and I spoke all about how I want to start doing more bookish posts in 2017. So here we are with round two of the book hauls. In December I didn't pick up that many books, as Christmas was keeping my spirits up, and I wasn't popping into my local charity shop to peruse the shelves as often. But, the January blues hit me hard, so I've now got quite a collection from the past two months to share with you. I filmed a little talk through all of the books I picked up over on my Youtube channel. The video is below if you'd like to have a peek (I'd so appreciate it if you did). If you keep scrolling however, I am going to do a little run-through of all the books in this haul. Wylder's hand by J. Sheridan Le Fanu. This book was released in the 1800s, but despite its literary accomplishments, was largely ignored until the modern day. The plot centres around murder, mystery and some tense family rivalries. I'm hoping it's akin to Wuthering Heights, because if it is then oh. my. word. My Sister Lives on the Mantelpiece by Annabel Pitcher. I already know this one is going to make me cry. The narrative is told by ten year old Jamie, who is trying to make sense of what is happening to his family after the death of his sister. Sometimes I just need a cathartic tear-jerker, and this sounds like a good'un. I am Death by Chris Carter. This looks like one of those generic thrillers that I would usually steer clear of. I'm talking the John Grisham-esque ones that you know are going to be more than a little tedious and repetitive. But the blurb and the cover intrigued me too much to leave it behind. The novel's detective must find a ritualistic killer known only as 'Death', and there's a ticking clock behind him too. Brighton Rock by Graham Greene. This is one of those books that you're 'supposed to read', mostly because it inspired Ian McEwan, but I've put it off for years. It's all about gang violence in Brighton (I know right, Brighton?!) and how one man handles his role in the underworld of this city. The Twelve Days of Dash and Lily by Rachel Cohn and David Levithan. This is the only festive book that I bought in December and I'm SO gutted I didn't get time to read it before Christmas was over. This is one from the Zoella book club. It's all about Dash's attempts to get Lily's zest for life back after her Granddad passes away. The one catch? He only has 12 days to do it before Christmas arrives. I imagine this will be all kinds of cute, but I might save it to read next December! A Game of Thrones by George R. R. Martin. Yep, I finally got around to buying this. 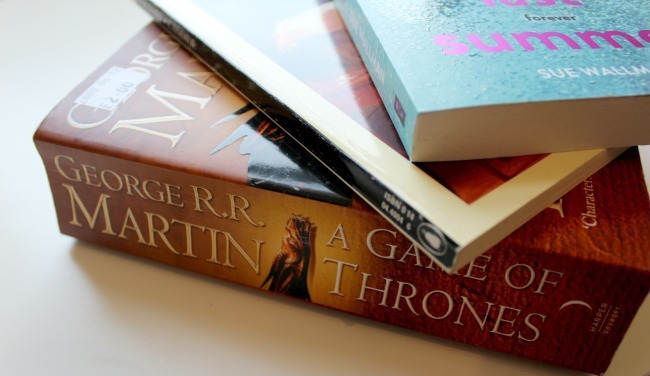 I've watched a few of the series', but not in a cohesive enough way as to spoiler the book for me. I'm pretty excited to see how it compares to the TV show though, even if just this first book is almost 800 pages long! Jacob's Room by Virginia Woolf. Despite doing a few feminist-based modules at uni, I never got the chance to study any of Woolf's works. This is her third novel, and could definitely be described as a modernist one. Jacob is the most central character, and yet the reader only meets him through the perceptions and descriptions of other people. It has been termed as a 'plotless' novel (not necessarily a bad thing); one that is more a character study than anything else. Candide by Voltaire. This is less a novel, and more a philosophical work. Voltaire didn't believe in the overriding optimism of his day, the 'all in for the best in the best possible of worlds' life mantra that was bandied about. Candide is a satire designed to assault this theory of optimism. This work is on the list of 1001 books to read before you die, and I'm intrigued to see what philosphical stance it embodies. 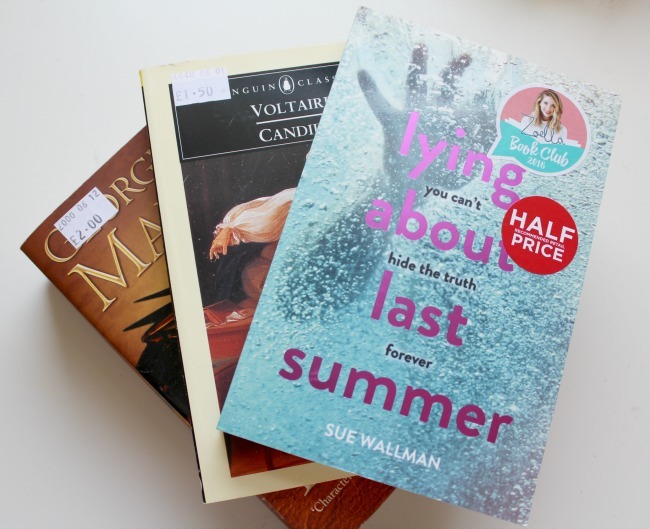 Lying about Last Summer by Sue Wallman. This is another novel from the Zoella book club. It's all about a girl called Skye who loses her sister in an accident. Her parents send her away to a camp for bereaved children the next summer. All seems well. Until she gets texts from someone claiming to be her dead sister. I am SO excited to get cracking on this one. It sounds like a (fairly) easygoing thriller, and I already want to know exactly what happens to Skye's sister. Eat, Pray, Love by Elizabeth Gilbert. This is one of those novels that I've just heard mentioned in passing so often throughout my life. And yet, I never knew what it was about at ALL until I spotted it on the shelves of my local charity shop. 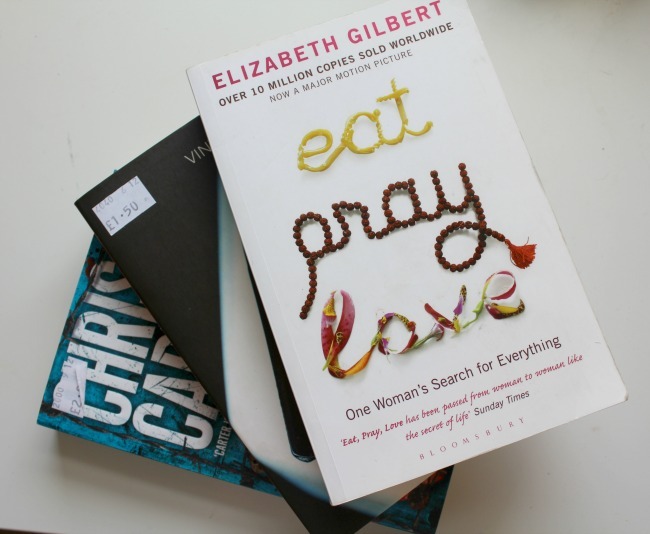 Eat, Pray, Love follows the semi-autobiographical journey of the author, Elizabeth Gilbert, around the world after her divorce. She first lands in Italy and commences the 'Eat' section of the novel, then goes to India, where she scrubs temple floors ('Pray') and ends the journey in Bali, where she learns how to 'Love' again. Go Set a Watchman by Harper Lee. I'm still a little skeptical about this posthumous sequel to To Kill A Mockingbird, but I really feel as if I ought to give it a go. I got so caught up in the hype about the release of this book, but when it was finally released I was distracted and didn't get around to buying myself a copy. Go Set A Watchman is based 20 years after the end of To Kill A Mockingbird, when Scout returns to her hometown and finds the state of things there all a little disturbing. There are so many books I need to read that you have mentioned! 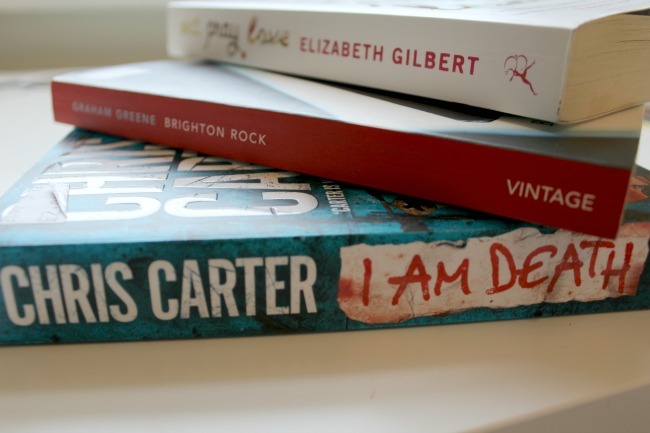 I'm SO excited to get starting on reading some of them, they look fab don't they? !